Check out this miniature Bible I got from a Philippine Bible Society (PBS) book store! It’s cute and colorful too! Aside from the neon orange item I purchased, other bright colored pieces are also available including blue and green, also in neon. This little Bible is quite handy. I can bring it anywhere I go, even through a small bag or pouch. The only problem is; it’s a pain in the eyes to read. But at least I have a copy of inspiring verses where I can find hope and joy during trying and crying times. If you prefer listening to verses instead, the Bible in MP3 is also sold through the same store. It’s an MP3 player filled with Bible verses or the entire Bible itself. There is also a USB disk containing the Bible in digital format. If you’re always in front of a computer, like I am, you can take advantage of the encouragement from God’s Word through a PDF copy which I’ve posted about yesterday, so go ahead and download free Bible ebook here! 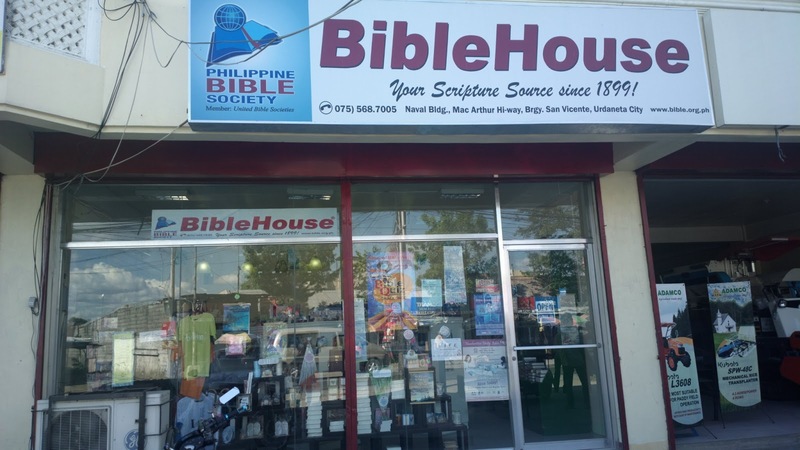 Going back to PBS, you can purchase other Bible based products including shirts, caps, bags, pouches, badges, wrist bands, bookmarks, pens, key holders, posters, calendars magazines, CDs, DVDs, and more. The bookstore also offers Christian literature of various topics from popular authors as well as Bibles with different translations or versions (New International Version or NIV, Good News Bible, King James, New King James, Catholic Bible, and more). Other branches can be found on the PBS official website. You may also connect via www.facebook.com/Bibliyaman.